This is the place for STARGATE SG-1 and STARGATE ATLANTIS novels. Based on the hit TV series from MGM, the novels capture all the excitement and drama of the TV shows that we have come to know and love. If you like Stargate novels, why not tell your friends? 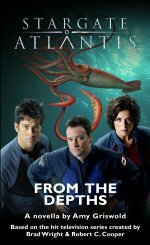 Welcome to StargateNovels.com, where the Stargate adventures continue. Below are some of our more recent titles – for a list of all our titles, see the bookshop page. For more information about upcoming novels and other Stargate Novels news, sign up for our email newsletter or follow us on Twitter and Facebook. And happy 'gating! We have closed our online bookstore — but Stargate novels is not going away! And we are restocking Amazon.co.uk with new books and the books will continue to be available from select convention dealers. There will be no change to ebooks which will continue to be available through Amazon, Crossroad Press (EPUB and MOBI) and a wide range of other ebook providers. However, as the mission quickly unravels, Colonel Carter and Vala find themselves bound for the ‘inescapable’ prison world Viaxeiro Caldera, leaving Colonel Mitchell, Teal’c, and Dr Daniel Jackson to mount a rescue. As guests of Chief Ladon Radim, Colonel Sheppard’s team witness the launch of the Genii’s first starship — Pride of the Genii. Radim needs the Pride’s first mission to be a success if he’s going to control the hard-line opponents of his treaty with Atlantis. So when the ship disappears, he turns to Atlantis for urgent help. With the Pride out of contact, Sheppard’s team must track her across the Pegasus galaxy, piecing together the events of her ill-fated maiden voyage. Available in ebook format - soon available in print. This 104-page novella is a classic team adventure. Available in ebook only. Oh, brother! Jack's young clone is back and making more trouble for his older self in the latest STARGATE SG-1 novella from Sally Malcolm. STARGATE SG-1: Behind Enemy Lines picks up on the story of clone Jack, from the episode 'Fragile Balance' (Ep 7.03). Sally wrote a short story for our first anthology of short stories, STARGATE SG-1 ATLANTIS: Far Horizons, which featured the younger Jack, and it proved so popular she decided to extend it into this novella. 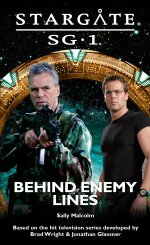 STARGATE: Behind Enemy Lines is approximately 40,000 words in length including the original short story that kicked it all off, 'Off Balance'. While Dr Daniel Jackson and Teal’c return to the refugee colony on Arbella, in search of allies in the coming battle for Earth, Colonel O’Neill and Major Carter discover a piece of Ancient technology that could change the future—and the past. 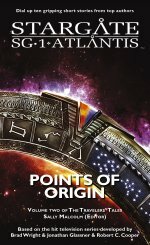 If you are new to Stargate Novels and wondering where to start, let us suggest some books that you might enjoy. If you are a fan of STARGATE SG-1, you might like the Apocalypse trilogy, beginning with STARGATE SG-1: Hostile Ground. Another popular book is STARGATE SG-1: Roswell, or STARGATE SG-1: The Barque of Heaven and STARGATE SG-1: Hall of the Two Truths. You can browse many more SG-1 novels in the Bookshop. 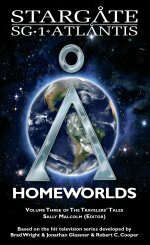 When you are looking for something from the Pegasus Galaxy, you can browse the extensive range of STARGATE ATLANTIS books, but if you are looking for a recommendation, we might suggest the very popular Legacy series, beginning with book one, STARGATE ATLANTIS: Homecoming. Or you might enjoy STARGATE ATLANTIS: Reliquary, STARGATE ATLANTIS: Casualties of War or STARGATE ATLANTIS: Death Game. If you have any questions, please ask us via the Contact Us page. This debut novel from Susannah Parker Sinard is destined to become a favorite on many readers' bookshelves. We hope you'll join as we step through the gate with these fine authors. Reeling from the shocking revelation at the end of STARGATE SG-1: Hostile Ground, Colonel O’Neill’s team continues the quest to find a way home. But as they come to terms with new circumstances, they find themselves divided. With tensions mounting, the team undertakes a dangerous rescue mission on behalf of their new allies – and O’Neill makes a decision that will threaten the future of his team. This is the second in the STARGATE SG-1 Apocalypse series by Sally Malcolm and Laura Harper. Readers have been hooked since the first in the series, Hostile Ground. Colonel Shepherd’s team fight not only to save their city and free their friends, but ultimately to save an entire species from extinction. In this riveting conclusion to the epic Legacy series, the destiny of Atlantis and her people will be decided. 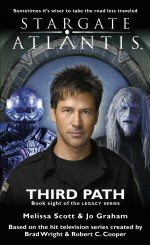 Third Path is a must-read for all fans of the STARGATE ATLANTIS series, as it brings to a conclusion the epic eight series story of what happens to Atlantis when it returns to the Pegasus Galaxy after the end of Season 5. To see a complete list of the Legacy books, follow this link.